One of the best ways to reduce and potentially eliminate a termite colony is with baiting. 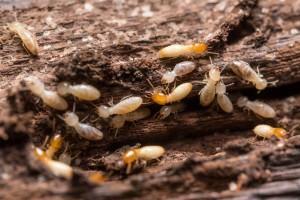 Baiting termites in Portland homes benefit from most is performed by professional exterminators. There is a wide range of bait stations available, and multiple methods can be used. As part of a larger termite elimination campaign, it can be an effective way to destroy or severely weaken a colony. At The Killers we specialize in using multiple methods to achieve the best results. Portland termite baiting involves the placement of below ground and in-structure bait stations. These are effective on subterranean termites, the most common variety in the Northwest. Bait stations come in several varieties, and we’ll make specific recommendations depending on your infestation level. Stations are either baited with wood/inspection cartridges or toxicant treated bait. Inspection cartridge/wood: These are regularly checked and used to determine whether or not termites are in the area. Toxicant bait: This treated bait is taken back to the colony by termites and poisons the colony from within. Stations are effective for discouraging termite colonies as well. If a colony has not yet been established this treatment method may act as a deterrent. Get professional termite baiting for the best results. Our termite baiting process always begins with an inspection. Termite baiting Portland homeowners get the greatest advantage from must be performed by a professional. We know how to identify potential termite locations based on training and experience. Determining where activity is occurring allows us to identify the best positions for bait stations. This is imperative. There is no substance that actively attracts termites. This makes placement of the bait stations incredibly important. Without correct spacing and placement both near suspected colony activity and beyond it, you greatly reduce the chance termites will locate your traps. If the termite never locates it as a food source, the traps will be completely ineffective. Termite baiting in Portland and so much more. 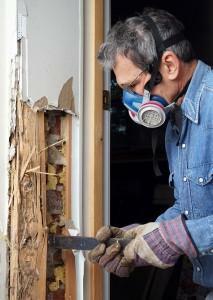 Termite baiting Portland homes depend on is just the beginning. 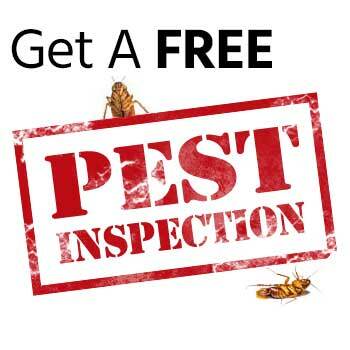 We provide free pest inspections and use integrated termite control methods to achieve the greatest results. Baiting is just one tool in our box, and using it effectively means using it intelligently. Every property is unique, and so is every infestation. That’s why we create pest control plans specifically for your home or business. 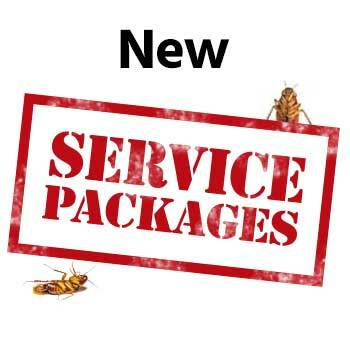 Pest eradication is only possible when a problem is addressed from multiple angles and your technicians have the experience to do so. 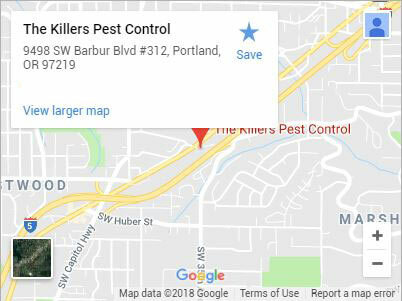 We’ve been eliminating termites in Portland since 1982. As methods have changed so have we. Adaptability is key and we always stay on the cutting edge to provide you with the best solution for your needs. Contact us for termite baiting today! Don’t let termites damage your property any further. Termite baiting in Portland can reduce a population size and sometimes even eliminate a colony entirely. For a free inspection from a trusted local technician, call (503) 777-3141 or contact us today! Lincoln City, Salem, Vancouver WA, and more!